Tall, slender, white hair falling over her face, stooped at the shoulders, unpretentious – she read about foxes, red birds, rivers, her dog, Percy. And a heron. I saw it lift off the rail of a high balcony in the Leid Center. Unfolding her great wings, the heron sailed over our heads and slipped neatly through the mottled blue curtain behind Miss Oliver. I saw the tucked black foot of the swan in the dark water of the lake. I wondered if someone said there was a bear in the Truro woods, would the bear just maybe appear, because the town so much needed something wild and singular. As she bowed over the podium picking out poems, Mary Oliver handed me my life on a platter. Lean over it, she said. Inhale its beauty. Taste its exotic flavors. Slurp the juice and let it run down your jowls. The next day someone told me told about coming close to her own death, while flying north in a small plane. Ice began to form on the wings. Shaken to the core, she met her own fierce desire to live. “I don’t want to leave yet. I am not done enjoying the world and being part of it,” she told me. The poet made a mistake. She was reading A Summer Day with its unforgettable closing line: What do you plan to do with your one wild and precious life? Instead of reading precious, she said perfect. Later in the question and answer time, a woman asked the poet if she finds her poems changing over time and that she had noticed Oliver had a changed a word in the last sentence of A Summer Day. “I did?! What?” the poet exclaimed. She had no idea she had replaced precious with perfect. “Well, isn’t that interesting?” she laughed. Some are blessed enough to know life is precious. A moment is given where our wings take on ice, we go into a stall, and hover an instant before a freefall into the secret. But what does it mean to know your life is also perfect? Coming from God and returning to God, how could it not be perfect? Ours is a God who told Moses his name was being itself, Yahweh. Our life – frayed, fretful, and failed – is perfect. It is we, who give it a dwelling place and personality for a time, who are too distracted to see its splendor and too imperfect to perceive its perfection. We – querulous and argumentative, standing center stage in our little dramas – miss that great and perfect bird sweeping silently through the blue, light streaked, curtain of mystery. This entry was posted in Ascension, Contemplation, prayer, Eternal life, Resurrection and tagged death, Heron, Mary Oliver, perfection. Bookmark the permalink. good morning monday. what a delight to get into my email and be greeted by the praying life. you gave to me a new perspective on my name today. i so want to live into my precious perfect life, grateful that it tolerates my fears and invites me to awkwardly soar. i get so confused by feeling that my doing needs to be perfect-instead of seeing that my being is what is truly precious. ps lorette i am sending this from my husbands computer. my computer has died. i am planning its funeral. the photo is that of gabriel marcel. one of liams mentors in print. Great post! Thank you for making me think. Blessings and peace to you, Mary! How appropriate that you, so articulate and poetic, should share Mary Oliver with us–she, so articulate and poetic. My favorite poet for sure! Thank you for the blessing of both of you. Oh Carol, thank you. I am a rank amateur at poetry in her presence. She does inspire me, teach me to see, and gives me permission “to be idle and blessed.” How is your writing coming? 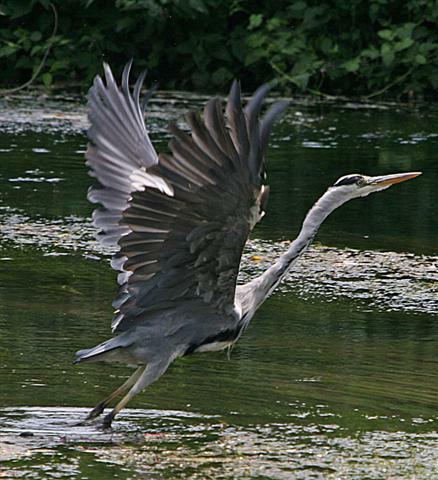 Oh how I love the heron, a sighting of which reminds me that God is watching out for me. Why? I’ve posted the answer on my blog, January 30, 2007. Thank you for acquainting me with Mary Oliver’s beautiful heron as well. Oh yes. Hi Dale, I enjoyed reading your blog about the heron protecting you. There was one who came to the lake where the hermitage was. From the porch I used to watch him catch fish, as he walking slowly along the shore. It was so good to see you in Des Moines. You might like to check out Mary Oliver’s poetry. She has several about herons. I only included a portion of the poem in my blog post. 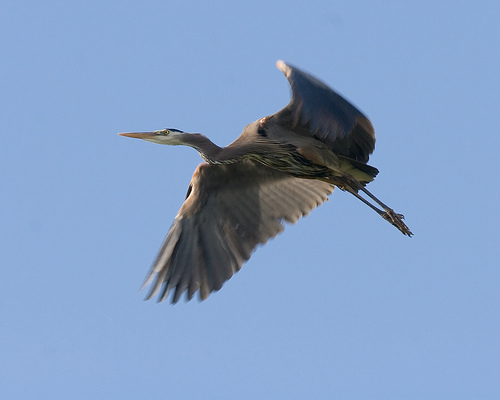 Many heron blessings to you!